Poor splicing, lack of vacuum, and wrinkles are all signs of worn rollers. We can help you keep your rollers in excellent shape. 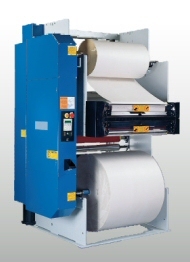 We conveniently stock all types of rollers that are used with your equipment. Don't let your machines wear down because of bad rollers. 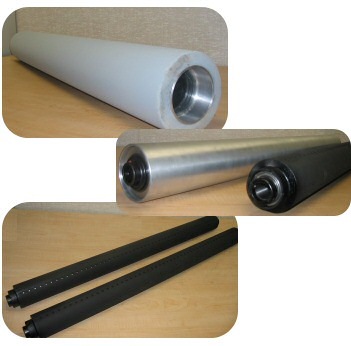 Let us supply you with high-quality, long-life rollers. With our special roller recovery program, you always have a new roller available immediately when you need it. We recommend you buy two rollers the first time you order from us. When one roller begins to wear down, you can replace it and send it back to us. Our technicians will strip down the roller, re-machine it, and re-coat it, all for only 1/2 the price of the original roller. Many of our customers have found this roller recovery program to be a great deal, and it has saved them a significant amount of money. Our inventory is extensive. Call us today at (888) 675-2772, and we'll get right to work on your next order for high-quality, cost effective rollers and accessories for your splicer machines. Enkel Splicer Parts Let us help repair your Enkel Splicer with our parts for Enkel infeed, zero speed splicer. We stock Warner electric brakes and Montalvo pneumatic brakes. Warner brakes and Montalvo brakes. Need an Enkel Part? Press Part Solutions has it in-stock! Call us today!